The split is reportedly amicable. 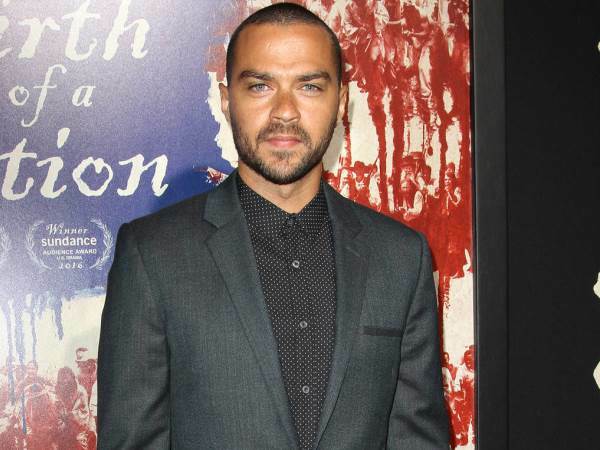 Actor Jesse Williams and his wife Aryn Drake-Lee are reportedly heading for divorce. It is unclear who lodged the legal papers, but according to TMZ, the split is amicable. Williams and Lee wed in 2012 and share son Maceo and daughter Sadie. Prior to their nuptials, the 35-year-old gushed about Lee for standing by him through his different career aspirations. "I was a teacher when I met her, so she's been with me through all different facets of my career. She's stuck with me through thick and thick and thick and thin," he told USA Today in 2010. "We know each other in and out." A year before that, in 2009, he praised his wife-to-be for being "self-made". "She is her own person," he told People magazine. "Being intelligent and self-made is a big deal for me." Last year, Williams made waves for a speech he made as he accepted BET's Humanitarian Award, in which he also spoke fondly of Lee. "Before we get into it, I just want to say I brought my parents out tonight," he said in June. "I just want to thank them for being here, for teaching me to focus on comprehension over career, and that they make sure I learn what the schools were afraid to teach us. And also thank my amazing wife for changing my life..."
Representatives for the couple have yet to comment on the divorce reports.